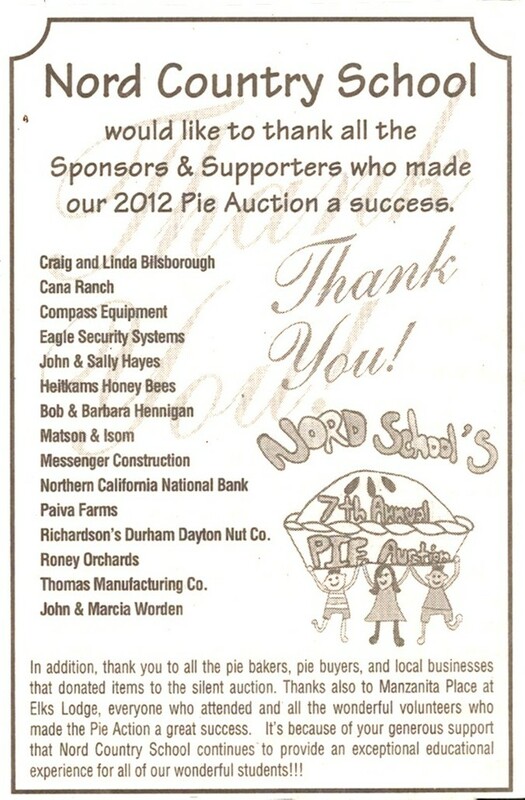 On April 18, Nord Country School is holding a Jog-a-Thon. To donate funds online, please use the button below. Nord Country School, a 501c3 non-profit corporation, is a free, K-8 public charter school serving students in Chico and the surrounding communities. We provide high quality, standards-based learning experiences in a small, rural school environment. I am thrilled that you have decided to view our school’s website in order to learn more about the wonderful students, staff, and programs we have to offer. ​ We encourage you to visit our beautiful school and see that we are a school committed to children. You will find that this is a vibrant and engaging community of teachers and learners. To our parents, we believe that your involvement is an essential component to the academic success of your child. I encourage you to visit our website often, meet your child’s teacher and to get engaged in all that Nord Country School has to offer. Your participation in our school is needed and greatly appreciated!